Turn to Goff’s Enterprises, Inc. for Quality Bug Doors! Bug doors are now used across the industrial space to prevent birds, bugs, and intruders from accessing the area while allowing fresh air inside. Our team at Goff’s Enterprises, Inc. specializes in the production of bug doors, and our G1 door is an example of our commitment to engineering excellence. The doors keep non-air-conditioned space cooler for long periods of time. Each door is built using structurally strong fibreglass wind bars and won’t bend or kink if impacted, which reduces downtime waiting on parts. Full end caps are included on all wind bars to reduce friction in the PVC tracks. Adjustable projection mounting hardware is included to provide maximum flexibility for many installation scenarios. Our doors help meet AIB Inspection Standards. The G1 Door requires little maintenance and has easily replaceable, exchangeable heat-sealed panels available in solid vinyl, mesh, and clear PVC, creating a truly “all-season” door. With a design that excludes wheels, cables, springs, and sewing the G1 Door is a breeze. With pre-assembled components and a simple door design, installation time is significantly reduced. We work tirelessly to ensure your door is ready for your facility in a consolidated timeframe. Our inventory of products helps support a fast delivery phase. We offer affordable pricing on the highest-quality bug doors. Our G1 doors are among the most cost-effective systems in the industry. Our warranties help to protect the value of your investment. You can call us directly to learn more about our warranty inclusions. Working with a trusted specialist for industrial partitions can help your organization protect its team and its environment while reaching its production targets. 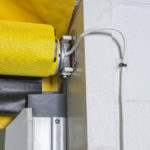 To learn more about our bug doors and the benefits they can bring to your facility, call us today. Helps meet FDA and AIB standards. 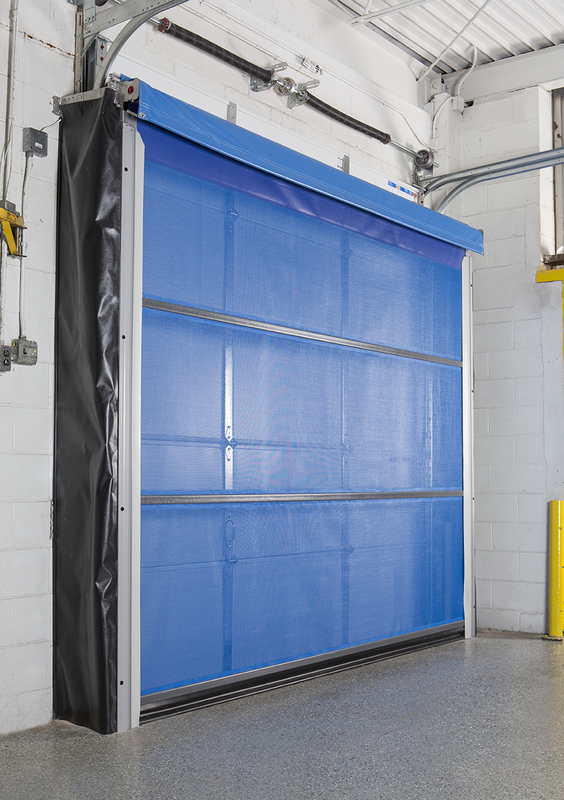 All doors come with a full width roll cover to protect the top roll assembly, while providing a tight seal for the industry’s best insect control. Toggle Switch is standard on all G1 powered doors. Upgrades available. Goff’s Enterprises, Inc warrants all G1 Door Systems for 2 years on components and workmanship, plus 1 year on labor. Warranty excludes electric motor and spring-assist roll-up mechanism; warranty on these items is 1 year. Goff’s reserves the right to repair or replace warranty items at its discretion. In-Tube motors can operate your door at 6″/second or 12″/second. 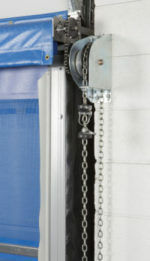 Manual Chain Hoist door with a brake is simple to use and easy to install. 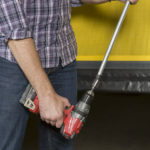 Hand Crank door can be used manually with handle or driven by a power drill for quicker operation. 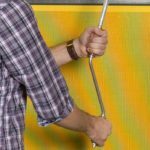 Manual Spring Assist doors are held down and secured with a simple tethered pin lock. 12 Vinyl Color Options and 8 Mesh Color Options Available! *18oz vinyl is not available in all colors. The color options shown are not an exact match. For samples of the material please contact Goff’s.